Being a business owner today is incredibly exciting. There are fewer and fewer barriers to international trade; decisions can be made at speed (based on greater access to key information), while extensive third-party ecosystems allow companies to scale or pivot in a more agile way than ever before. But this worldwide land of opportunity is not without its challenges. Many of these exist because traditional regulations and banking systems have failed to keep pace with technological change. Yes, we are capable of making decisions and taking action in seconds. But red tape often gets in our way. Let’s look at five common obstacles challenging globally-minded businesses of all shapes and sizes, and some potential solutions to them. Central to some Brexit counter-arguments is the sense that, once outside the EU, as and when that happens, the UK will be subject to the same import and export restrictions that face other global traders. 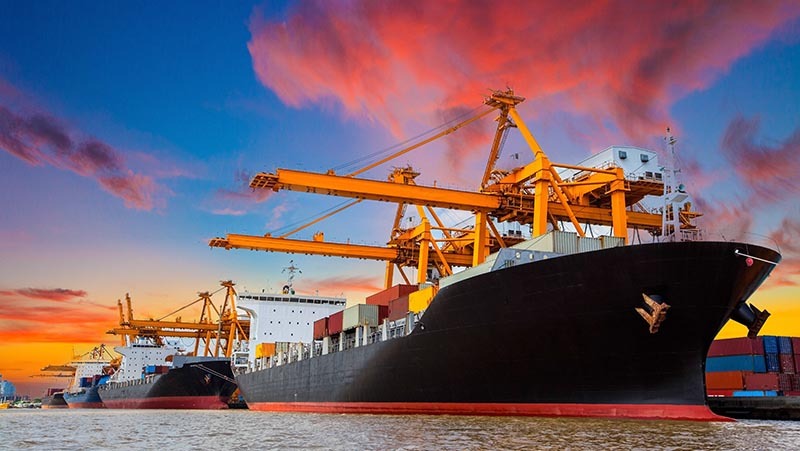 Navigating these can add significant overheads to administrative workloads and, in the case of taxes or charges, may conspire to make certain products and services uncompetitive compared to local suppliers. Initiatives such as Xi Jinping’s Belt and Road aim to smooth the path (sometimes literally as financing for road construction is underway) for China to trade with the rest of the world. It is clear that doing anything possible to make global trade less onerous for companies of all sizes is a high political priority. Beyond political lobbying, there is no circumventing local trade restrictions. However, if the opportunity presented by a certain territory is very attractive (e.g. it’s a potential site of resources, has emerging customer segments or enjoys low market saturation), it is worth considering alternatives. 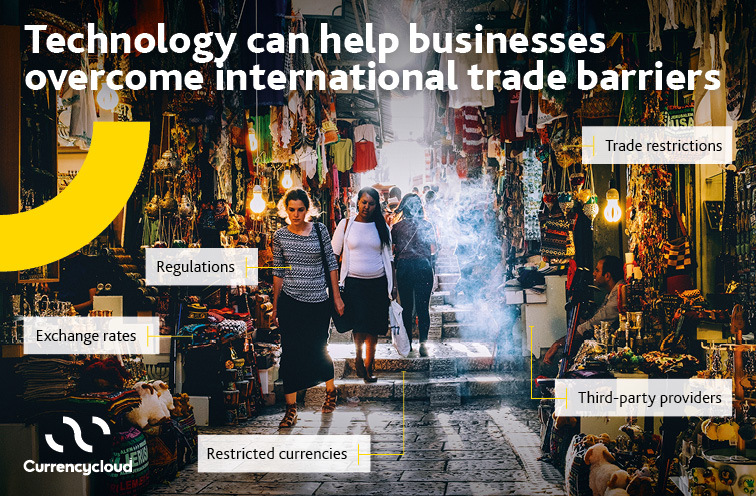 What technologies or service providers might exist to help exporters navigate these trade laws? Are there local branches of companies preferred service providers who can offer advice. In the case of a mismatch in the product set, Is it worth diversifying? Might creating a subsidiary be a fruitful alternative? Regulation is largely borne out of necessity and is designed for end-customer protection. It is not restricted to the trade of goods themselves as above, but also governs their ability to meet safety standards, data governance and financial propriety. 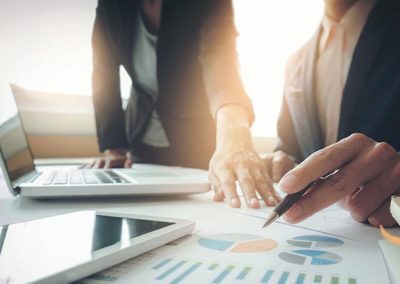 While costs of compliance can be high, particularly if a business is out of step with a region’s regulatory framework, it can be worth setting them against the opportunity cost of not being customer-centric or losing business efficiencies. When forced to comply with GDPR, most companies discovered that their databases were smaller but more effective overall, as they only targeted the most relevant customer segments. Particularly in smaller or very fast-moving, innovative companies, a lack of regulatory knowledge can prove a significant stumbling block, often leading to legal challenges. It is best to look again to local experts who can review business process and advise on meeting any laws that were hitherto unforeseen. Whether an avid importer and exporter or solely operating within a single nation, there is still no escaping the influence of fluctuating international markets. Volatile currencies can impact even the most economically stable of nations, as they influence raw materials, overall market health and business confidence. But for those trading directly with other nations, fluctuating currencies become a real and direct issue. They risk under-budgeting for materials and labor or defaulting on contracted suppliers when translated payments fail to match the required amounts. Additionally, companies are sometimes struck by the sheer size and variety of fees, as well as the time delays added to currency exchanges, which can derail even the most carefully planned contingency funds. Fortunately, there are a number of solutions to safeguard businesses against sudden exchange rate changes. These include payment platforms like Currencycloud, which manage the scheduling as well as creating a universal flat fee structure and stabilized rate. As we said at the beginning of this article, the existence of third-party providers has opened global trade up to a number of businesses for whom adapting to such scale may never have been possible, certainly not at speed. Providers can now mitigate the finance needed to invest in scaled-up capabilities such as payments processing, customer communications management and much more besides. These third-parties tend to exist because they hold expertise that their clients simply don’t have the time or capacity to acquire. So, it can be a nervous process bringing them on board. Simply put, clients aren’t quite sure what they are buying or who to trust. Even though a number of these vendors are start-ups responding to changes in the market and new technologies, many of them have case studies as they have looked to big name partners to support their entry into the market. Clients unsure as to whether or not they are making the right choice should look to this documented proof and interrogate existing clients to make sure that they are finding the right partner for them. Restricted currencies used to make trading with certain nations expensive and time-consuming. But through third-party provision, this obstacle is being all but erased. Generally speaking, operating in a country where the currency is restricted adds extra cost to whatever service you are trying to procure. This, in turn, increases the cost and potentially diminishes the competitiveness of the end product. Using third-party solutions set up within the restricted nations to handle the currency exchange on a company’s behalf, you can remove a number of the administrative and cost barriers to doing business.